Nearly 2/3rds of high school graduates continue on to higher education. They know that there are many benefits of a college education, and even students who did poorly in high school are likely to do well in college. But when they consider the transition from high school to higher education, the prospect of college may seem daunting. Many students feel like they must take their future direction into their own hands for the first time in their life. Unlike the clear directions they are given in school, students won’t have a rigid set of instructions to follow for finding colleges that they like and want to apply to. Students must suddenly take it upon themselves to decide what to study and where they would like to study it. This summer, we will take a comprehensive look at the many steps that high school students take in preparing for college, beginning with how to find prospective schools to apply to. Unfortunately, it seems that teens are not particularly skilled at picking the best schools for themselves: the average college student earns their degree in 5.6 years, and only 19% of students finish in the expected 4 years. This is because a large portion of college students will change majors and/or transfer to different schools. Either one of these changes is likely to add at least another year of coursework to a student’s transcripts, costing them another year’s tuition and any gains they could have made by working that year. To avoid running into this down the road, students planning on attending college can take steps to ensure they are applying to schools that will truly serve them best. Having a system to select schools and academic programs can make it easier to find a good ‘fit’ the first time, saving lots of time and money. Location – in-state or out, city or small town, etc. Academic Focus – some schools have big medicine programs, others focus on humanities. Cost – tuition and cost of living, availability of financial aid, etc. Social Atmosphere – Greek life, student body size, quality of dorms, etc. Athletics – a campus with Division I athletics is very different from Division III, for instance. Acceptance Rates – although a low test score is not a guaranteed rejection letter, students with a less-than-desirable SAT score may have to limit the prestige of the schools they apply to, or at least include more safety schools in their search. Religious Affiliation – a campus built on religious principles can be comforting to those who highly value their faith, but keep in mind that some religious schools enforce policies such as dress codes and curfews. Location is often the first criterion because of the difference between in-state and out-of-state tuition, which can be more than $10,000 per year. Families with a mind for frugality would do well to restrict college options to those within their state of residence, or try one of the possible methods for evading out-of-state tuition. Furthermore, some students want to be close to family while other students want to explore a far-away region; some students thrive in metropolitan areas and some prefer small towns and wide-open spaces. While these subjective preferences may seem less important than other factors in college decisions, ultimately they will impact the surroundings that students will place themselves in for the next several years. Students should take some time to consider the population size and surroundings that they feel comfortable in, and narrow their college search accordingly. When the student knows the general field that they’d like to study, they can search in their selected geographical area for schools that are have some prestige in that academic field. Some schools have a history of having lots of alumni go on to medical schools while other schools have lots of graduates in reputable business management positions. Students should make sure to read up on schools that produce the best people in their targeted field. Those who are pursuing careers in STEM fields (Science, Technology, Engineering, and Mathematics) would also do well to consider research universities. Studying as an undergraduate research assistant in the lab of a prominent professor will pave the road to graduate school. When search criteria have been established, students can use College Board’s College Search engine to find schools that fit. The College Search allows you to filter colleges by typical SAT/ACT scores accepted, location, size, and many other factors that may be important to a potential college student. To find out which schools have the best program in any particular field of study, students can look to U.S. News and World Report’s Best College Rankings and Princeton Review’s impressively thorough college rankings. 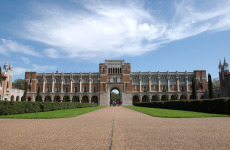 U.S. News is better for program rankings, as they have more majors categorized, while Princeton Review has more lists about college demographics and lifestyle, such as lists of the best schools in any given region, rankings of the top schools by their social atmosphere, and the Happiest Universities rankings (in which our own Rice University consistently ranks among the Top 10 in the nation). Ultimately, setting up these criteria is where the student must look inward and choose what is truly important to them. There is no one perfect method, because there are too many subjective preferences keyed to the individual. Order is very important: the highest priority should be the first tier, followed by second highest priority, and so on. Mixing up the tiers could lead the student to unintentionally make application decisions for the wrong reasons. For instance, applying to a school that does not have a strong program in the student’s major but comes with a thriving social scene may demonstrate that the student cares more about making friends than career success. In reality, most students will have fun and make friends at almost any school, but imagine trying to apply to medical school with a pre-med degree from a liberal arts college. Many school applications are due around November 1st of the year before matriculation. There are later application dates, but students that apply earlier have higher acceptance rates, statistically. However, some school’s Early Decision acceptances are binding, so students should only pursue this if they are sure that the school is their top pick. Because of Early Decision’s higher acceptance rates, it may be wise for students to spend the summer between junior and senior year narrowing down a list of schools to apply to, and aim to have applications completed during Early Decision where applicable. Another important part of applications is the letters of recommendations. Since many schools require student applicants to have letters of recommendation, teachers are often flooded with requests for letters during September and October. A good strategy would be to ask early. In the last few weeks of junior year, students can pick out a few teachers that they’ve had a particularly strong relationship with and ask them for a letter. Besides asking teachers, students who participated in extra-curricular activities should ask their coach/director/Scoutmaster for a letter of recommendation, as schools like students that spend time outside of class and hobbies. This includes school-affiliated activities as well as independent organizations. See this excellent article for more information on how to ask for letters of recommendation. Although it may seem like too large a task, finding schools to apply to can be easy, if attacked systematically. Once a student has their priorities in order, a short list of ten schools can be gathered within a week or two, depending on how much time can be devoted to the search. If you know a student that is between their junior and senior year, ask them where they are in their search and offer encouragement and advice where you can. Once they have their short list of prospective schools, it’s time to start working on applications. Be sure to follow us on Twitter @GAThesis for more college application advice throughout the summer.